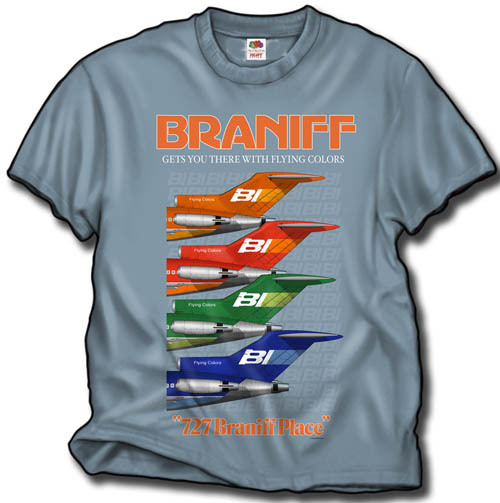 In 1971 Braniff became the first airline to adopt "widebody" interiors for its Boeing 727 fleet, featuring a higher ceiling. sculptured window frames, enclosed overhead compartments with flush-mounted PSU's (passenger service units), and indirect lighting. The promotion "727 Braniff Place" was used to publicize this marketing effort. And here is the shirt. And here it is, on the front of a 100% cotton stonewashed blue/gray shirt! Thai B-777 shirt NEW LIVERY! 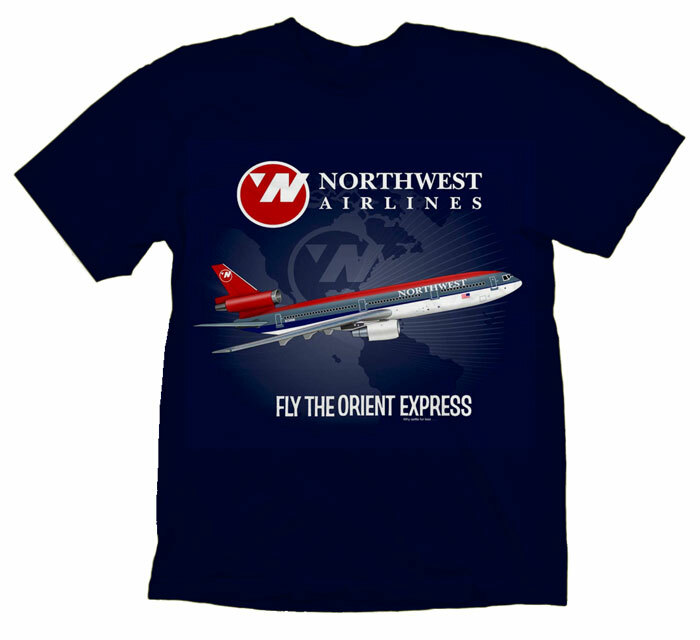 Northwest Orient Embroidered Polo shirt.